2009 (MMIX) was a common year starting on Thursday of the Gregorian calendar, the 2009th year of the Common Era (CE) and Anno Domini (AD) designations, the 9th year of the 3rd millennium, the 9th year of the 21st century, and the 10th and last year of the 2000s decade. 2009 was designated as: International Year of Astronomy International Year of Natural Fibres International Year of Reconciliation Year of the Gorilla (UNEP and UNESCO). 2009 by Wiz Khalifa and Curren$y was a good mixtape or album or whatever kind of project it is. I’ve never really listened to anything by Curren$y before, he wasn’t bad and Wiz Khalifa always delivers. There’s some classic bangers on here like Getting Loose, which features Problem and Garage Talk. Those were defiantly the best tracks on here rest of the project wasn’t bad. It’s better than most of the music out right now. I would recommend it for any fan of real hip hop and any stoners who like rap music. Glad to hear Wiz is back to spitting bars! Curren$y was pretty painful at times but I’ll take that trade off. They have grown as artist so some of the stuff they talk about is a little different from how fly but we can’t expect them to stay the same. 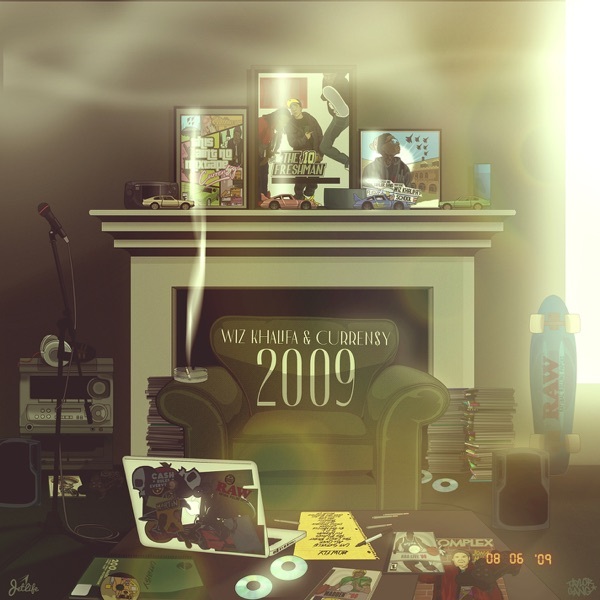 Overall chill album nothing to hype nothing to soft was a decent album I enjoyed the 2009 concert and if you like Wiz & Curren$y then you’ll love this album as well. If you have anything negative to say about this album....one you don’t know real rap...two you probably listen to this new garbage that they call rap now.